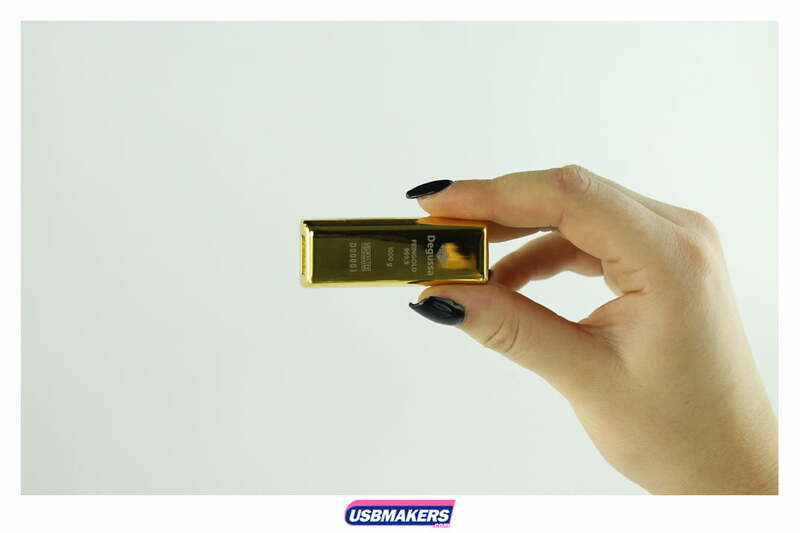 The sensational Gold Bullion USB Drive is an extremely exclusive style with regards to its colour and function. 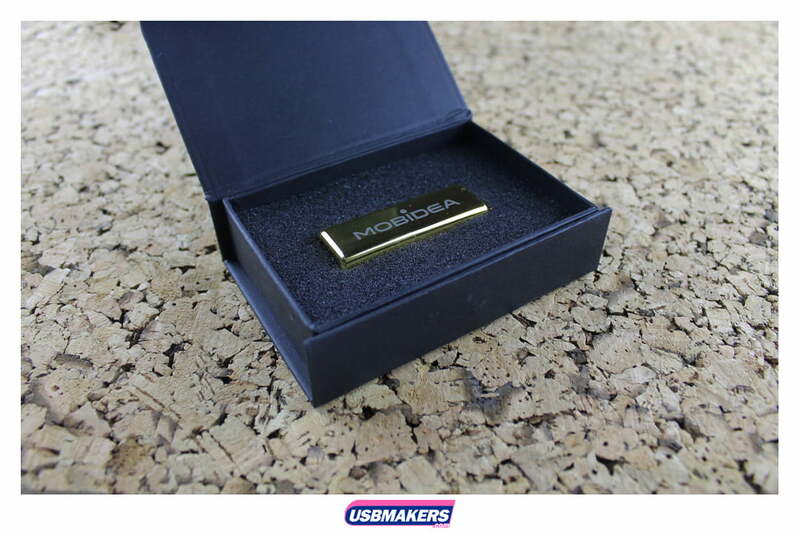 The Gold Bullion USB Drive is one of our most expensive USB styles whilst establishing its reputation to be one of the highest quality USB Drives in our product portfolio. 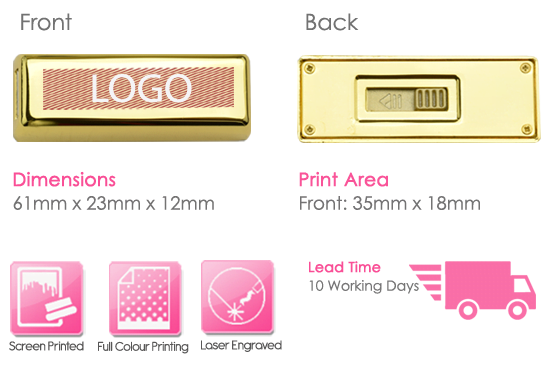 The minimum order quantity is just fifty units for this attractive USB style, and we offer both options to either screen print or to laser engrave onto your USB Drive order. 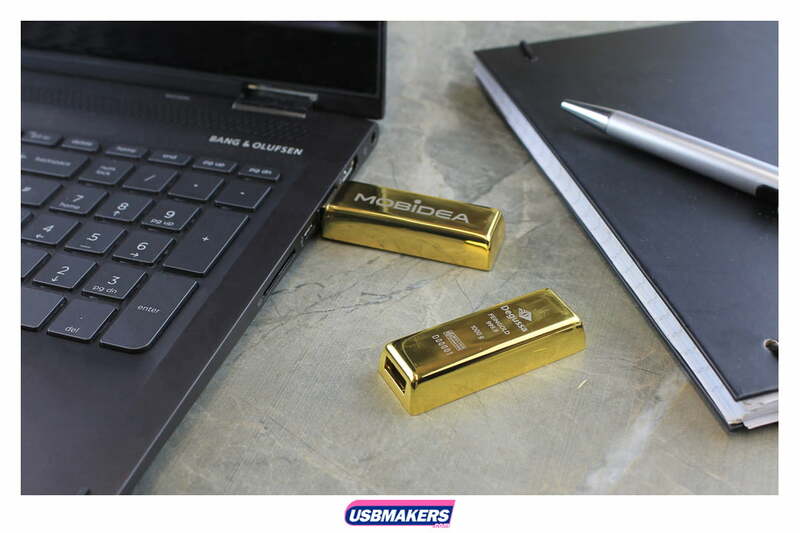 The memory sizes that are available range from 128Mb up to 64Gb and we offer free data upload up to 400Mb to all companies. 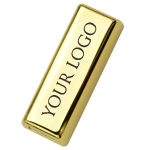 Additionally, please let us know if you would like your data files to be locked, left unlocked or to have an auto-run feature added to your Gold Bullion USB Drive order.